Game Show Mania For Corporate Events! 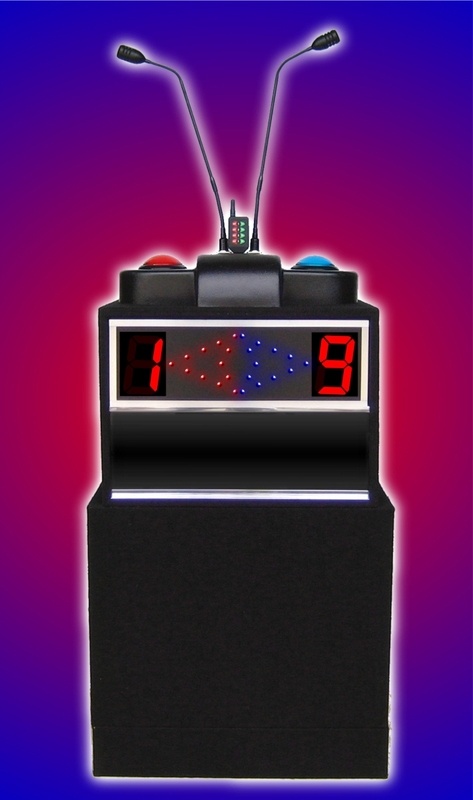 Bring your trade show booth to life with this feud style trivia game. Professional game show hosts will get attendees to participate in the game show featuring questions about your product or service in your both during the tradeshow. The game show will draw attention and cause a buzz around your booth, all the while providing a fun way to educate your prospects about the advantages to your product. Teambuilding can be done in several ways with the game show when played in the team format. Questions about the project, the company, recent training or the seminar you just finished can be presented by our professional game show host. Your team members are learning and having fun all at once. It's also a fantastic idea for holiday parties and company picnics.